'Allo 'Allo: Where are they now? 25 years since the wartime sitcom ended... what became of its stars? Exactly 25 years ago today, the last ever episode of 'Allo 'Allo aired… ten years to the month after it began. By the time of its finale, the wartime sitcom had become a global success – sold to 56 countries – including France and Germany where you might expect sensibilities to be more acute. To mark the quarter-century anniversary, here's a look at what happened to all the show's stars. 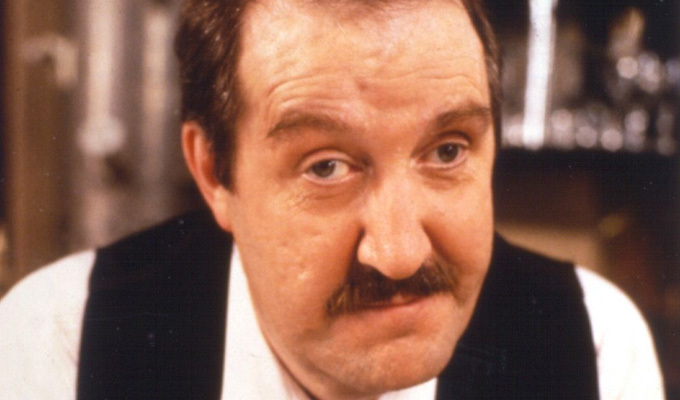 In 1982, writer David Croft sent Kaye the script for the pilot episode of 'Allo 'Allo, and he was to end up appearing in all 84 episodes – despite suffering serious head injuries when a piece of advertising boarding smashed through his car windscreen in 1990. However, he worked little after 'Allo 'Allo, except for a role in the 1993 TV film The Bullion Boys, opposite David Jason, and the 2001 comedy series Revolver, which used a lot of old-school sitcom stars. He died in a nursing home in Knaresborough in January this year, aged 75. The unofficial Yorkshire anthem "On Ilkla Moor Baht 'at" was sung at his funeral. As a child, Silvera narrowly escaped death: she had been due to be evacuated to Montreal on the SS Athenia during the war. The ship was sunk by the Germans – but her name was taken off the passenger list at the last moment. She made her name in police serial Z-Cars and BBC soap Compact before being cast in 'Allo 'Allo. But she, too, did little TV work after the series, although she continued to tread the boards. In 1997, five years after the sitcom finished. she appeared in That's Showbiz, a stage musical written by All All co-creator Jimmy Perry at the Wimbledon Theatre in South London. She also appeared in Revolver. She was a heavy smoker, and contracted lung cancer, dying in August 2002, aged 80, at the Denville Hall retirement home for actors. Michelle maintained connections with the sitcom, and appeared in touring stage versions, as well as a number of plays and musicals – not to mention a panto almost every year. She's very active in the charity field – earning an MBE in 2010 - with links to the Lady Taverners, Haven House Children's Hospice, AA Dog Rescue among many others. She is also president of the Heritage Foundation, which remembers stars with blue plaques on their old homes. Gonshaw left the sitcom after three series to play the role of Amanda Parker in the BBC drama series Howards' Way. She pretty much retired from the public eye after that, with a couple of bit-parts to her name, including the Peter Gabriel 1992 video Digging The Dirt. In 1993, she helped set up the publishing arm of movie studio with the now-shamed Harvey Weinstein, publishing the likes of Quentin Tarantino's Pulp Fiction script. She also developed her own film ideas there, but has generally kept a low profile. Now 58, the last spotting we can find of her was at a 2011 memorabilia fair in Birmingham. She has not been seen much on TV since the sitcom finished, but she still works on stage including roles in pantomime and the UK tour of Menopause: The Musical with Cheryl Baker and others. She is also another of the cast who appeared in the 2007 Australian stage tour of 'Allo 'Allo along with Australian actors. Now 60, she lives in Lincoln with her musician husband Keith, and earlier this year she wrote her autobiography, Mimi's Memoirs. Before 'Allo 'Allo Cooke was one of the ensemble who acted in Dave Allen's TV sketches, and afterwards had a regular role in the short-lived 1995 comedy Down To Earth, which starred Richard Briers as a man who has been appointed as a cultural advisor in a South American banana republic. And she joined the cast of children's TV show Chucklevision for its 2002 season. 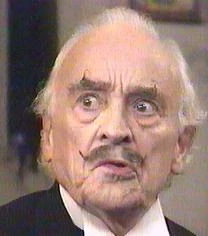 Connor was already comedy aristocracy when he joined 'Allo 'Allo. He took over from Peter Sellers in Ted Ray's radio show, occasionally appeared on The Goon Show… and starred in no fewer than 17 of the Carry On Films, as well as many other big screen and stage roles. After 'Allo 'Allo, he joined another long-running sitcom, playing Uncle Sammy Morris in Hi-de-Hi! He also made guest appearances in other sitcoms, including an episode of Blackadder the Third in 1987. Connor, who was made an MBE in 1991, was still working just two days before his death in 1993 at the age of 75, with an appearance on Noel Edmond's Telly Addicts. Minster – whose pre-'Allo 'Allo credits included Secret Army, Doctor Who and The Tomorrow People,– died from cancer in London in 1999, aged just 55. Just before 'Allo 'Allo finished, the Russian-born actor returned to the homeland for a 'Congress of Compatriots' organised by Despite being caught up in a coup, he stayed long enough to watch, through tearful eyes, the raising of the first Imperial Russian flag flown in Moscow since the 1920s. He got to play a Russian president in the 2002 Jack Ryan spy thriller The Sum Of All Fears, which was his only post-Allo 'Allo screen role besides a spot in Lovejoy. After 'Allo 'Allo came to the end of its run in 1992, Siner worked for a time in Los Angeles before returning to the UK. He has voiced several Star Wars video games – as well as a couple of episodes of SpongeBob SquarePants – and worked as a script editor on two expanded universe Dr Who stories in 2008. Now 70, Siner also took part in the Australian stage show of 'Allo 'Allo in 2007. Kelly has a long list of credits both before and after 'Allo 'Allo, Before, they include playing the second lead in Gwen Taylor vehicle Barbara, which ran for eight years, and Bunny Warren in Porridge. After, he was the father of Bill Bailey's character Manny in Black Books, and appeared in My Family, EastEnders and the Mike Leigh films Grown-Ups, Topsy-Turvy, All or Nothing and Grief. On stage, he starred in Jean-Paul Sartre's play Kean at the Theatre Royal, Bath, and in the West End in 2007, and he played the Wizard in Wicked in two stints at the West End, the latest in 2013. He was admitted to a hospice on June 13, 2014, and died early the next morning aged 70 after a long battle with cancer. Now 63, the Ugandan-born actor left 'Allo 'Allo after eight series, with David Janson taking over the role of the Gestapo officer in the final season. Since then, he has worked as a radio actor, scriptwriter and voiceover artist, including guest starring in the 2003 Doctor Who audio drama Flip-Flop. His last TV appearance was in Toast of London in 2014. In 2006,Gibson revived Herr Flick for an opinionated view of the World Cup for a Daily Telegraph podcast; while he and 'Allo 'Allo costar Kim Hartman have formed a Flick and Helga fan club, including a cabaret act comprising songs and sketches that they in character. As well as the cabaret act, Hartman appeared in a few small parts after All Also finished, including Sean Lock's 15 Storeys High and The Brittas Empire. In 2005 she landed the more substantial role of Mrs. Rawlinson in Grange Hill, which she would play for three years. Now 65, she is married to the actor John Nolan – and is the aunt of the Dunkirk, Inception and Dark Knight director Christopher Nolan and Jonathan Nolan, who co-created the Westwood TV series. Bostrom, 62, this year toured the UK as a cast member for the Ray Cooney's farce Out Of Order, and has appeared in several pantos. TV credits include Doctors, Hebburn, where he played a newspaper editor, and Father Brown. Since then appearances have included Birds Of A Feather, Trial & Retribution and Wycliffe – though at 75, he has not now had a TV role in almost 15 years. Frankau , 63, no longer acts regularly but lives in Cambridge, where he works a software engineer. Richards, now 71, was only in 'Allo 'Allo for two years, and is probably better known now for playing Terry Raymond in EastEnders for six years, up to 2002. Since then his work has been almost entirely on stage. In 2009, he was diagnosed with the neuromuscular disease myasthenia gravis. He had a book of poetry published in 2015. Roger Kitter, who took over the Bertorelli role for series seven, died from cancer in January 2015, aged 65. Which comedians are playing the 2019 festivals?